Town staff continue to work on cleaning up following the recent ice storm. While crews worked around the clock throughout the Easter weekend, there is considerable damage in New Tecumseth and it is anticipated to take several weeks to clean up. “We thank residents for their patience and cooperation. It certainly was a difficult weekend and took a collaborative approach with our service partners to ensure our community’s safety. We are proud of all of our staff’s dedication and response to the storm. 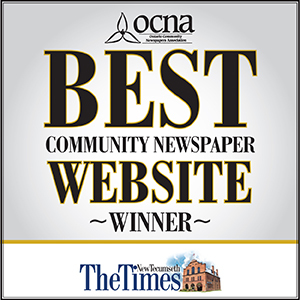 On behalf of the Town and council, we would also like to thank all the Hydro One and Power Stream crews for their efforts,” said New Tecumseth Mayor Rick Milne. Any debris from trees can be left at the curb. The public works department will be around during the next several weeks to dispose of the material. As a reminder, residents that have personal property damage should contact their private insurer directly. In addition, and to support our residents, the County of Simcoe’s contracted yard waste collection provider has started a special brush collection. The County’s brush collection may not coincide with regular waste collection days. For program details, and bundling requirements, please visit the County’s website at www.simcoe.ca. Residents can also transport private debris to the Adjala-Tosorontio or Bradford West Gwillimbury landfill sites free of charge. For disposing of food waste, the County has advised that they will collect additional organic material as part of the regular collection service. The County of Simcoe also provides bulky item collection in New Tecumseth from June through September. For information and to schedule an appointment for bulky collection, call the County at 1-800-263-3199.